LONDON: Iran unveiled a new fighter jet on Tuesday, state media reported, as tensions rise between Tehran and regional rivals over conflicts in the Middle East. The fighter jet called Kowsar was fully domestic made, capable of carrying various weapons, and will be used for short aerial support missions, Tasnim news agency said. State television showed live pictures of a ceremony in Tehran in which the fighter jet flew in the presence of President Hassan Rouhani, a day before the country’s National Defense Industry Day. Iran has sent weapons and thousands of soldiers to Syria to prop up President Bashar al-Assad in the country’s seven-year-long civil war. However, due to the lack of a powerful air force Iran asked Russia to provide air power. Iran’s air force has been limited to perhaps a few dozen strike aircraft using either Russian or aging US models acquired before the 1979 Iranian revolution. 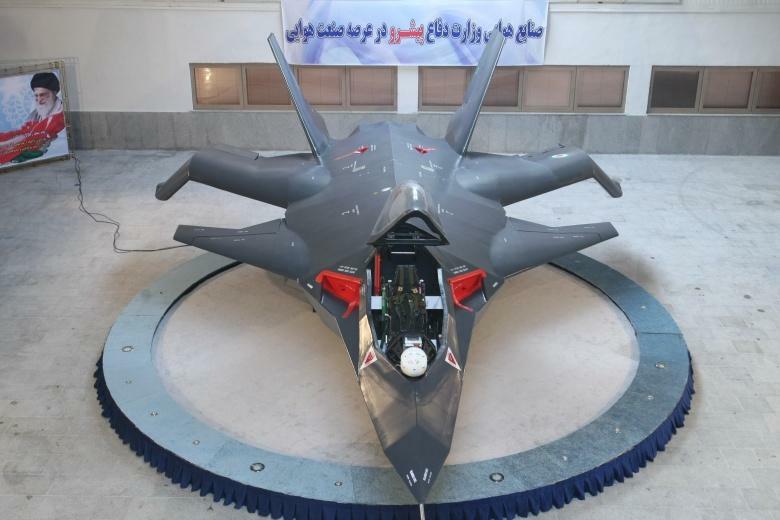 Iran unveiled in 2013 what it said was a new, domestically built fighter jet, called Qaher 313, but some experts expressed doubts about the viability of the aircraft at the time. Iran has developed a large domestic arms industry in the face of international sanctions and embargoes that have barred it from importing many weapons.